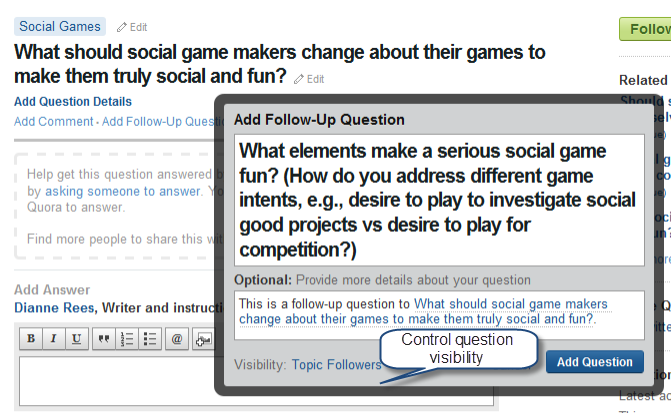 This entry was posted in elearning, elearning tools, instructional design approaches, social networks and tagged collaboration, community, disruptive innovation, facebook, flow games, game elements, games, health, intentional learners, intentional learning, metacognition, question and answer social network, Quora, serious games, socail learning, social games, social media, social media and games, social media game flow, social networks, Twitter. Bookmark the permalink. 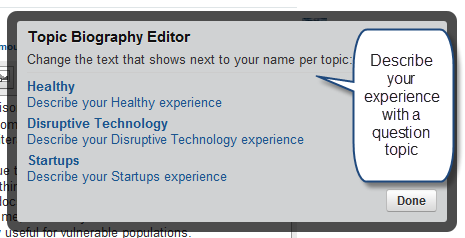 Thorough covering of Quora, Dianne! 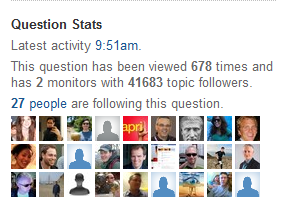 On a side note: the buzz around Quora just in the last few days has been insane. I’m curious to see how this scales. Thanks, Phil! It’s Interesting also to see the reactions on Twitter. 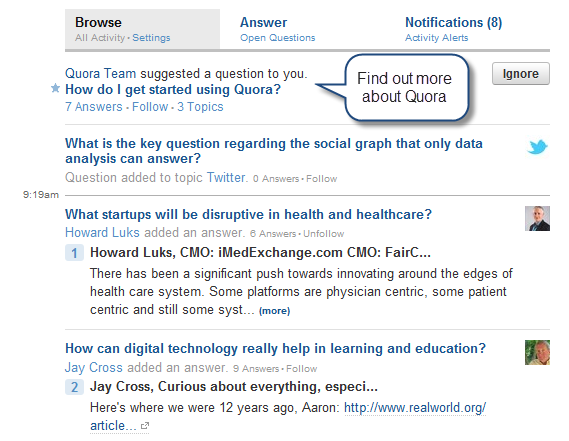 I think that in the same way that your Twitter experience is shaped by who you follow (people, hashtags, etc), your Quora experience is shaped by the topics you follow. For folks just signing on, it’s worth taking time to explore the site. Read the question and answer guidelines and browse the site to check out answers you find helpful. Answer questions when you feel comfortable. 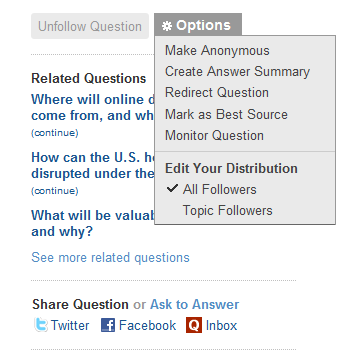 Just wanted to add an additional comment in response to some posts and comments I’ve seen about Quora.When people say you can’t control the quality of Q&As on Quora, I say welcome to social media. Don’t control…add wisdom.